propellant to LEO is no longer impracticable, as the cost of propellants burnt is comparable with that to deliver a unit mass of payload in a commercial transport). 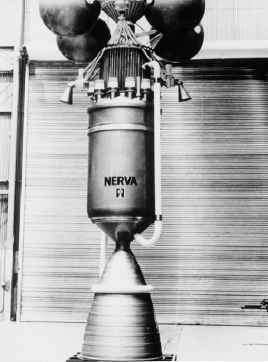 Although using conventional hypergolic space rockets and conventional launch rockets to deliver significant quantities of orbital maneuver propellant to LEO is still prohibitive (228.2kg of propellant per kilogram of LEO propellant delivered) a substantial reduction by about 20 just by using hydrogen/oxygen propulsion in space, also (as already seen) using hydrogen/oxygen rocket in combination with airbreathing propulsion for the launcher. With the application of electric propulsion in space and hydrogen/oxygen rocket and airbreathing propulsion for the launcher that ratio can be reduced to a figure about 3 or maybe 2. The orbital tanker is now competitive with a KC-135 or modified B-767 for refueling missions. Since the hypersonic glider is part of a TSTO vehicle, the first stage is used only once, that is to launch the glider. After that the space propellant tankers are used to replenish its operational propellants. Table 5.13 gives the propellant to satellite weight ratio for a FDL-7 C/D glider and two satellite weights. The Model 176 would have a lesser value of the ratio, and the Dynasoar and lifting body would have a larger value of the ratio. This table corresponds to the values in Table 5.11. The hypersonic glider is more readily adaptable to larger plane changes; for, as we saw in Table 5.12, the increase in capability is possible for a reasonable investment in vehicle size. This table corresponds to the values in Table 5.11 for three levels of design for the plane change hypersonic glider. As in Table 5.12, the last row in Table 5.14 is for the 62-degree orbital plane change design spacecraft operating in a 32-degree plane change. Observations on the OMV results: it is clear that the better the propulsion system of the orbital tanker, the less resources required to transport the propellant to LEO. There is a clear advantage for an airbreathing launcher when considering sustained space operations. Compared to the impulse turn OMV, the hypersonic glider needs less total propellant to accomplish its mission, requiring only about 65% of the impulse turn OMV propellant, as shown in Table 5.15. So for performing orbital plane changes hypersonic gliders have a clear advantages. Even the hypersonic glider designed for a 62-degree plane change and flying a 32-degree plane change (last row of Figure 5.13) requires less propellant than an impulse OMV. The hypersonic gliders require less propellant to be lifted to orbit, and offer an escape and rescue capability not available with impulse turn OMVs. Table 5.14. Ratio of total propellant weight to satellite weight for FDL-7 C/D hypersonic glider and three plane change angles for four launcher propulsion systems.